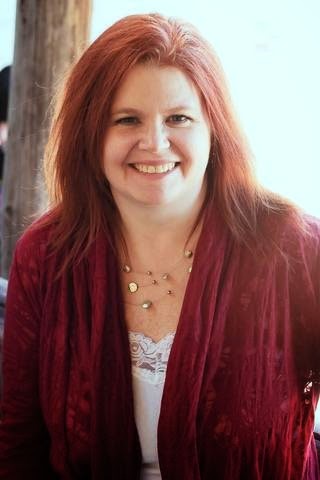 5 Questions with #Author Jennifer Lowery! Hiya, gang! It's my pleasure to welcome Jennifer Lowery back to the blog today - Jennifer's answering 5 (basically) simple question...and sharing a bit from her new release, The Maze! Hi Kristina and all you fabulous readers out there *waves* Thank you so much for having me today! My romantic suspense, The Maze, released this month so I’m very excited to be here! Thank you so much for sharing it with me!! Kristina: What is your favorite way to unwind? Jennifer: Relax in my favorite chair with a good book and cup of tea. Kristina: What is your favorite genre to read? Jennifer:Military romance, but I read in many genres. Kristina: Who are your favorite authors and why? Jennifer: Cherry Adair, Cristin Harber, Sharon Hamilton, D’Ann Lindun and so many more! They are all great authors who write great stories I just can’t put down once I start reading them. Kristina: I *love* Cherry - such a way with words! What is your favorite way to get over a writing block or hurdle? Jennifer: Ooh, that’s a tough one. Usually when I get blocked it’s because I’ve gone wrong somewhere in my ms so I have to go back and figure out where and why. If I’m in between projects and simply blocked I like to watch movies and read books in my genre to get my creative juices flowing again. Kristina: What do you keep in mind as you write? An overarching question? A theme? The last line of the book? Jennifer: GMCs (Goal, Motivation, Conflict). They are always in the back of my mind as I write. As a pantser I don’t plan very much before I start writing, so I’m juggling many balls in the air when I do, lol. But, GMC is the most important to me. Thank you for having me today, (Insert your blog title here)!! I just want to send out a big THANK YOU to all my readers out there! Without you I wouldn’t be here. My wish is to one day meet each and every one of you so I can personally thank you for your generosity and support! Thank you for having me on your beautiful blog, Kristina! *waves to Jennifer* Thank you so much for being my guest - I picked up The Maze last night and can't wait to read it! Thanks, Julie! So happy you liked it! You mentioned me in the same sentence with Cherry Adair!You mentioned me in the same sentence with Cherry Adair!You mentioned me in the same sentence with Cherry Adair! LOL, D! You're right up there, lady! Love your books! Another wonderful interview! I'm loving getting to know you better Jennifer! Hi, gurls! Amazing excerpt and I loved the answers, too. Thank you all for coming out today! I really appreciate the support! And thank you, Kristina, for being such a wonderful host. And the winner is...drum roll, please...ANDREA!!! Congrats!! Look for an email from me so you can choose your gift! Loved the interview. I tweeted. Loved the interview and even remembered to tweet! Wonderful interview and so great to get a little bit more of a glimpse behind these great books! Looking forward to this latest release!